‘The Best of Kenia’s Brazilian Jazz’ airs daily on our streaming Station from 11-21-18 through 11-27-18 Monday-Friday at 7 am, 3 pm, 6 pm and midnight Central Time (US). Weekends, too. 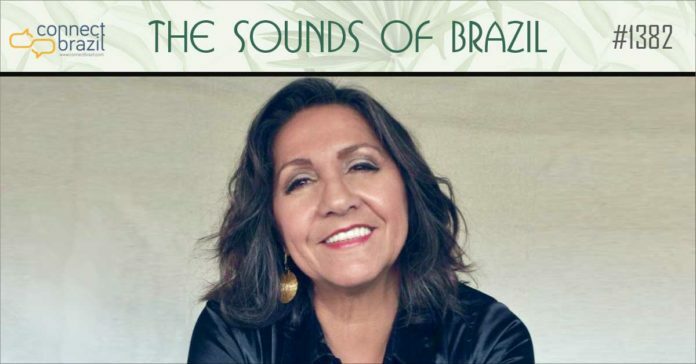 On The Radio: Listen to The Sounds of Brazil every Sunday, 2-4 pm on Chicago’s 90.9 FM WDCB, streaming live at wdcb.org (8 pm GMT). Click here for a complete list of our affiliate stations. Use our time zone converter to find your local time. Welcome to The Sounds of Brazil! Ahhh, the sirens sing their beautiful melodies… carried on a Brazilian breeze. This week, we feature a Carioca original who now calls Pittsburgh home. It’s the music of Kenia on the radio and our streaming station. Marisa Monte and Tribalistas have just announced thier US Concert Tour dates for early 2019. Get the Connectbrazil.com concert guide with complete details here. Join me for The Sunday Brazilian Brunch: Perfect for smoothing out the bumps of a busy week. Three full hours every Sunday beginning at 5 am Central, and then again at 9 am, 2 pm and 8 pm. No app needed when you click the ‘play’ arrow at the bottom of every page at Connectbrazil.com. This Sunday, I’ll feature two of the best new Brazilian music for Fall, along with a light dusting of holiday favorites and a debut for Alexandra Jackson’s new Legacy & Alchemy single, too. Our Christmas programming continues daily thorugh Christmas Day, and also marks the beginning of our streaming station’s fifth year. Plus, you’re just a click away from all ten of our streaming channels including our ‘Brazilian Christmas’ channel, too. Always Live Always Free. Happy holidays when you click the Streaming Music tab at the top of any page at Connectbrazil.com! Connectbrazil.com is partnering with AccuRadio.com to give $30,000 to great charities during our Season of Sharing. That’s a thousand dollars every day! Click the Streaming Music tab at the top of any page at Connectbrazil.com to listen to your favorite Brazilian channels, like BossaNovaville, Brazilian Jazz or our Brazilian Christmas channel. Pick your favorite charity and we’ll select one listener charity every weekday for a $1,000 donation. Invite your friends to listen. It can make a real difference. Not help for just a few of us, but for all of us. Our Season of Sharing with AccuRadio at Connectbrazil.com! Chat Box! Post a comment, ask a question or make a request right on our Lounge page. No user name or password needed, and it’s perfect on your smart phone too. Try it today! Next Week: We’ll kick off five consecutive weeks of ‘My Favorite Things’ with ‘The Sergio Mendes Alumni Show: The Class of Brazil 66′. Don’t miss ’em. And be sure to send me your request for your favorite song, style or musican by December 1st for our all-request show in mid-December. Drop a note in the Chat Box on our home page! Whether it’s here at Connectbrazil.com, your radio, your computer at work or your tablet or smart phone, thanks for tuning in! I really appreciate it, and please tell a friend or two about us. And don’t forget about our weekly broadcasts in Chicago: Sundays at 2:00 pm Central on 90.9 FM WDCB.